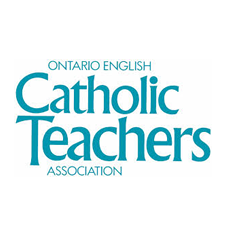 The Association represents more than 50,000 talented, passionate qualified teachers in Ontario’s publicly funded English Catholic schools, in classrooms from JK to grade 12. OECTA cares deeply about the quality of education in our province, and we advocate for the professional and contractual welfare of our members to make sure they can focus on what they do best: teach. OECTA promotes the professional and contractual welfare of our members, promotes the principles of Catholic education, and defends the constitutional rights of the Catholic school system in Ontario.